I created this painting as a Christmas gift for my mother. 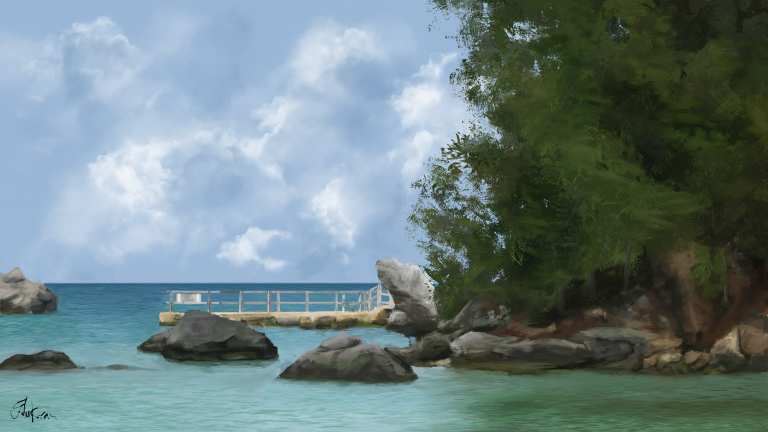 I referenced a photo that I had taken several years ago in Bermuda. I used Kyle Webster’s Concept Brushes to paint this, as well as my own personal brushset. Prints of this are available here.